What you measure is what you are likely to get – so do the so-called measures of project success used by The Standish Group and other really help? Certainly, the CHAOS definition has been updated from the ‘traditional’ assessment of on-time, on-budget, and on-target (scope) to the ‘modern’ definition of on-time, on-budget, and a satisfactory result; but does this really change anything? Challenged projects failed to achieve one or more of the measures, failed projects were cancelled before completion or the deliverables were not used. The problem is do these measures really matter? The Panama canal expansion was planned to finish in 2014, it was actually finished in 2016; its costs were estimated at US$5.25 billion, it actually cost will be in the range of $6 to $8 billion (depending on the outcome of disputes). But, the expanded canal is operating close to capacity and has had to restrict bookings since January 2017 to minimise delays and the latest estimates project that fiscal transfers from the Canal to the central government are expected to increase 60% to a total USD 1.6 billion in the current fiscal year. Given the canal is 100 years old and the new works can be expected to have a similar lifespan what is the real measures of success? In the last 11 years of Panamanian administration, canal revenues grew at a compound rate of five percent annual of the fiscal year 2006 to 2016. Given the core mission of the Panama Canal is to generate income and support the growth of the Panamanian economy is this really a ‘challenged project’? Who values value? looked at the vexed question of what is really valuable. All of these papers lead towards the same conclusion, project success is founded in the creation of deliverables that facilitate the realisation of benefits. But real success needs something more; the benefits have to be seen as valuable by a large proportion of the key stakeholders – success is very much in the ‘eye-of-the-stakeholders’ and if they declare the project a success it is, if they don’t see the outcomes as valuable it is not! The simple measures used by The Standish Group are only relevant if they advantage or impact the value perceived by the project’s stakeholders. A number of projects in Queensland leading towards the 2018 Commonwealth Games undoubtedly have time as a key component in providing recognisable value to stakeholders. In many other projects time may be almost irrelevant. Cost may affect profitability (and therefore value in the ‘eyes’ of some stakeholders) but is probably far less important than delivering an output that delights the end users. Quality and scope should be similarly balanced against the value perceived by stakeholders. Different stakeholders will have different views of what is important and ‘valuable’ – these differences may be irreconcilable. Stakeholder’s perceptions change over time – the Sydney Opera House went for a ‘white elephant’ that suffered massive time and cost overruns to a UNESCO World Heritage landmark in record time. It is impossible to know how people will react to the eventual project outcome in advance –success, or failure, emerges after the project has delivered and everyone involved has ‘gone home’. The concept of project success is built over time; it starts during the earliest stages of a project when the concepts are being formulated – no one benefits from delivering the wrong project on time and on budget. Everyone involved in the management of the project including sponsors and portfolio managers through to the project manager need to have in-depth discussions with their stakeholders about what success looks like and what is really important to the client and end users of the deliverable. This discussion needs to be framed by the constraints of cost and time (to the extent they matter) but not limited to predetermined artificial values, to create a prioritised list of success criteria that directly relate to the needs of the stakeholders (which may include time and/or cost, but equally may not); see: Defining Project Success using Project Success Criteria. Finally, the ‘what’s really valuable’ discussion needs revisiting on a regular basis to keep the work of the project aligned with the evolving needs and perceptions of the stakeholders. You can call this ‘agility’ if you like (or simply effective stakeholder engagement) but by now we all should recognise that producing ‘failed’ projects helps no one and driving to achieve arbitrary and/or unnecessary time and cost targets is a good way to destroy real value. The challenge the project controls community needs to start looking at is how do we start measuring success? Most organisations can’t even measure benefits! The challenge for people involved in the overall management of projects is primarily answering the question which stakeholders are important in this conversation and how do we engage them? The portfolio management challenge is focused on developing ways to quantify and assess these intangible metrics to select the most valuable projects. The governance challenge is putting rigour around the whole framework to encourage innovation, satisfy stakeholders and maintain overall accountability. My feeling is that project success is a complex, emergent, characteristic of a project that manifests after the work of the project has been completed. Presumably this change is to accommodate agile project where the scope is defined through the course of the work. Saying sorry and/or making belated payments years too late. This approach is at best second rate PR and the belated payments may be necessary restitution (but rarely compensates for the pain an suffering caused by the CBA’s unethical behaviours extending over years). But none of these actions has anything to do with setting ethical standards – ethics are about doing the right thing when no one is watching and proactively correcting errors as soon as you are aware of them. Ethical standards have nothing to do with implementing a pathetic PR exercise after your extensive wrong doing has been exposed to the full glare of publicity and then only paying parsimonious compensation to a few of the victims. The ethical standards of an organisation are set by the minimum standards of behaviour its managers condone. CBA Directors and managers have condoned highly unethical behaviours and the CBA continues to employ many of the same people who have been responsible for the creation and sustainment of this unethical culture over many years. This is a fundamental failure of organisational governance. For incompetence in not knowing (or not wanting to know) the unethical practices were on-going. A number of Comminsure Directors should be resigning for exactly the same reasons! The root cause of the Comminsure scandal highlighted over the last 24 hours is identical to the earlier CBA banking scandal (discussed in several previous posts) – CBA management designed incentive systems that paid its staff bonuses to screw their clients and inflate profits. The consequences may not have been intended but nothing was done to correct obvious problems once they became apparent, probably because the managers responsible for oversighting the behaviours were on exactly the same incentive structure. And, the bank continued to pay for behaviours that focused on short term profits over the needs of distressed clients for years. Simply leaving the same group of people who created the mess to clean it up is stupidity of the highest order. As defined in our White Paper: The Functions of Governance, two of the most important aspects of governance are establishing (and enforcing) the ethical standards and culture of the organisation. These functions cannot be delegated for reasons outlined in Dr. Bourne’s post from last week Practical Ethics. The question is what are the CBA Board going to do about the core problem? PMI’s newly released Practice Guide for the Governance of Portfolios, Programs, and Projects, provides some useful guidance to organisations and practitioners on the implementation of the management of portfolios, programs, and projects, but very little on the governance of this important aspect of most organisations. The understanding of project management, program management and portfolio management is well developed and easily accessible to all organisations, many of which have well developed capabilities in these areas, but most still see their projects and programs fail on a regular basis. Our 2012 post Project or Management Failures? highlighted the issues. The source of many of these failures lies in the organisation’s ability to manage the overall function of ‘doing projects’ – defined by Professor Peter Morris as ‘the management of projects’ to differentiate this area of middle and executive management from traditional ‘project and program management’. The overall domain covered by the ‘the management of projects’ concept is outlined in our White Paper WP1079 The Strategic Management of Projects. Despite confusing the governance function and the management function, this PMI Practice Guide is a valuable contribution to this area of management and to a lesser extent the governance of projects, programs and portfolios. As previously mentioned, the major weakness in the PMI Practice Guide is its failure to differentiate and understand the different functions of governance and management. Whilst this confusion is common in documents prepared by practitioners and academics focused on IT management and project management, it is rarely seen in any other area of management. Governance is the exclusive responsibility of an organisation’s governing body; in corporations this is the ‘board of directors’, in other types of organisation, their equivalent. The governing body is responsible for setting the objectives, culture, and ethical framework for the organisation, employing the organisation’s senior management, oversighting the organisation’s management functions and providing assurance to external stakeholders the organisation is operating effectively and conforming to its obligations (for more on this see: WP 1096 The Functions of Governance). Elements of some of these functions can be delegated to management, particularly in the areas of surveillance and assurance, but accountability remains with the governing body. Importantly in a well governed organisation, the governing body does not interfere in or directly undertake the management of the organisation – it is impossible to govern your own work! The functions of management were defined 100 years ago by Henri Fayol in his book Administration Industrielle et Generale. Management involves planning, forecasting, employing other managers and workers, and organising as in creating the organisation; then coordinating, controlling and directing the work of suppliers and subordinates to achieve the organisation’s objectives; whilst working within the ethical and cultural framework set by the governing body (for more on this see: WP 1094 The Functions of Management). A key function of every management role is ensuring subordinates and suppliers conform to the ‘rules’ set by the governing body. In short, the role of governance is to set the objectives and rules; the role of management is to manage the resources of the organisation to achieve its objectives, working within the ‘rules’. This approach to governance is clearly defined in ISO 38500 the international standard for the corporate governance of information technology, and ISO 21505 the draft international standard for the governance of projects, programs and portfolios. PMI has completely failed to understand this distinction and as a consequence invented a range of meaningless definitions in the Practice Guide along with a framework that defines basic management functions such as providing resources to undertake work as ‘governance’. The simple fact of life is the governing body employs managers to undertake management functions and this involves allocating resources, deciding on priorities and making decisions within the strategic framework approved by the governing body. 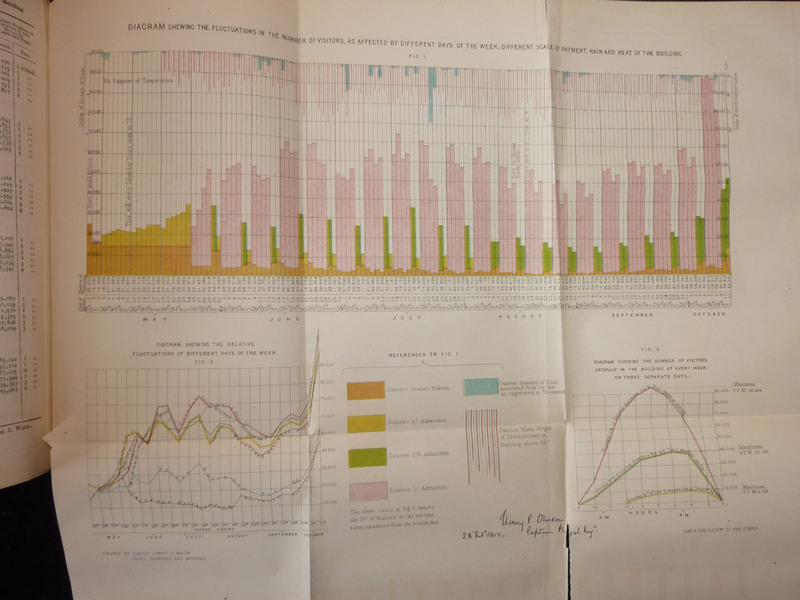 The basic functions of management were clearly defined by Henri Fayol in 1916 had have stood the test of time and the rigours of academic scrutiny. The tragedy of the decision by PMI to ignore legislation, international standards and a range of governance authorities ranging from the OECD to Cadbury and try to invent its own definition of governance, is that in the PMI model, virtually every management role above that of the project manager is turned into a ‘governance role’. The proposition made by PMI that every manager responsible for organising and coordinating the work of subordinate managers is engaged in governance is simply untenable – good effective prudent management is simply good effective prudent management! Strangely enough most people in real governance positions know what governance is and know what management is. Alienating this group is a real pity because once you get past the problem of describing almost every management role as a ‘governance role’ the Guide contains a lot of very useful information focused on improving the abysmal performance of many organisations in the complex area of the ‘management of projects’. Section 2 describes organisational project management and the tailoring management practices to meet organisational needs; the essential relationships and considerations; roles and responsibilities; and domains, functions, and processes. It describes how ‘the management of projects’ can be implemented as a program or project for integrated portfolio, program, and project management. Section 3 describes portfolio management, its links to governance and its central role in the ‘management of projects’. Section 4 describes program management and Section 5: management at the Project Level. In summary PMI’s Practice Guide for the Governance of Portfolios, Programs, and Projects is a good attempt to focus attention on the vital executive and middle management roles that routinely fail to properly support the delivery of projects and programs; the Practice Guide is spoiled by the delusion that middle level managers and executives undertaking their normal management responsibilities are somehow ‘governing’ the organisation. As a consequence, the governing bodies of organisations and corporations will tend to dismiss the Practice Guide as an irrelevance. The key element missed by PMI is the understanding that good management practice is an outcome of good governance, and bad management practice is a symptom of governance failure. The role of governance is to ensure its organisation’s management structures and systems are ‘good’. The fact PMI have completely missed this important distinction in their Practice Guide and as a consequence significantly reduced its value to organisations is an opportunity lost! In most organisations both the governance of projects programs and portfolios needs improving and the overall management of projects programs and portfolios needs improving – these are both important, but require very different improvement processes! On the 15th June 1215 the Magna Carta (Latin for “the Great Charter”), was sealed by King John of England at Runnymede, near Windsor. Drafted by the Archbishop of Canterbury to make peace between the unpopular King and a group of rebel barons, it promised the protection of church rights, protection for the barons from illegal imprisonment, access to swift justice, and limitations on feudal payments to the Crown, to be implemented through a council of 25 barons. Unfortunately, neither side stood behind their commitments, leading to civil war with the rebel barons receiving active support from France. After John’s death, the regency government of his young son, Henry III, reissued the document in 1216, stripped of some of its more radical content, and at the end of the civil war in 1217 it formed part of the peace treaty agreed at Lambeth, where the document acquired the name Magna Carta. Short of funds, Henry reissued the charter again in 1225 in exchange for a grant of new taxes; and his son, Edward I, repeated the exercise in 1297, this time confirming it as part of England’s statute law. 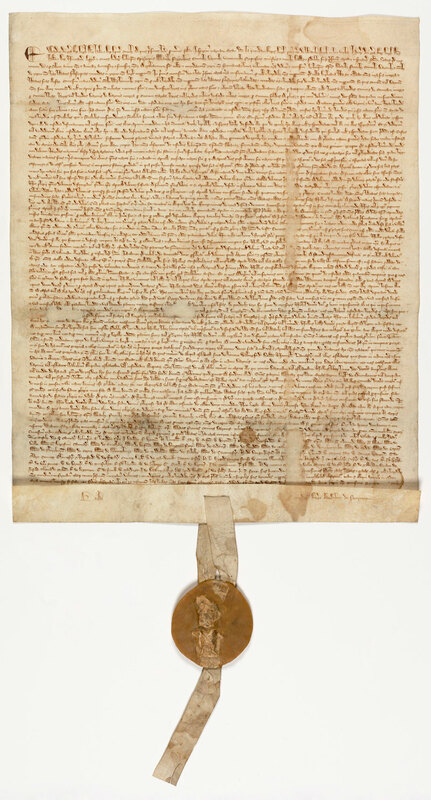 But as important as this document is in English history, it was not ‘unique’ – the Magna Carta is based on a long Anglo-Saxon tradition of governance. The 1215 Magna Carter was based on The Charter of Liberties, proclaimed by Henry I a century earlier. Henry I was King of England from 1100 to 1135; he was the fourth son of William the Conqueror and came to the throne on the death of his bother in a hunting accident. The Charter of Liberties issued upon his accession to the throne in 1100, and was designed to counteract many of the excesses of his bother William II and shore up support for Henry. Among other things the Charter of Liberties restored the law of Edward the Confessor one of the last Anglo-Saxon kings of England. Anglo-Saxon law itself has a long history; the Textus Roffensis currently held in the archives at Rochester, Kent, documents Anglo-Saxon laws from the 7th Century. These laws and practices suggest the rights of individuals were fairly well protected and the King was responsible for governing within the law (see: Arbitration has a long history). The Norman Conquest of 1066 brought a more imperial style of governing that flowed from the Roman Emperors (post Julius Cesar), based on ‘the divine right of kings’ and a feudal system that placed the King at the top of a hierarchy of power based on the control of land – the King owned all of the land and granted it to Barons in return for allegiance and taxes. The only limitation on the King’s power was the willingness of his barons to accept the King’s rule and if they did not, rebellion was their only option. This type of ‘absolute’ power was wound back a little by the Magna Carta which guaranteed the rights of Nobles and the Church but did little for ordinary people. However, during the course of its repeated ‘re-issuing’ the Magna Carta did pave the way for Parliamentary government and stood as a powerful counter to attempts by monarchs to assert the divine right of Kings as late at the 17th Century. By the end of the 17th century, England’s constitution was seen as a social contract, based on documents such as Magna Carta, the Petition of Right, and the Bill of Rights. These concepts were taken to the Americas by the early colonists and formed part of the underpinnings of the USA constitution. The governance message from the Mana Carta is the need for the ‘governor’ to respect the rights of the people being governed. The closer a governor gets to absolute power the greater the tendency to despotism and corruption. Effective governance systems balance the needs and rights of the governor and the governed, operate within an open framework, incorporate checks and balances, and adapt to changing circumstances. ‘Absolute systems’ are almost incapable of changing progressively, the usual course is the governors apply more and more coercion to stay ‘in power’ until eventually the whole system is destroyed by revolution or catastrophe; damaging everyone. Following Magna Carta, the English constitution evolved and adapted to change and certainly since the restoration of the Monarchy after the English Civil War and Commonwealth of Oliver Cromwell has been designed to adapt and change. Corporate and organisational governance has followed a similar trend and evolved from its inception in the early 17th century into its modern form (see: The origins of governance). However, whilst the concept of governance has been evolving and the purpose of good governance is to balance the needs and expectations of all stakeholders to the common good, governance failures remain commonplace. Our last blog post Governance and stakeholders highlighted three recent governance failures; the discussion on FIFA in particular highlighting the danger of concentrating nearly absolute power in the hands of one person. There are some interesting parallels, eight hundred years ago on the banks of the Thames an embattled King John met the English barons who had backed his failed war against the French and were seeking to limit his powers. 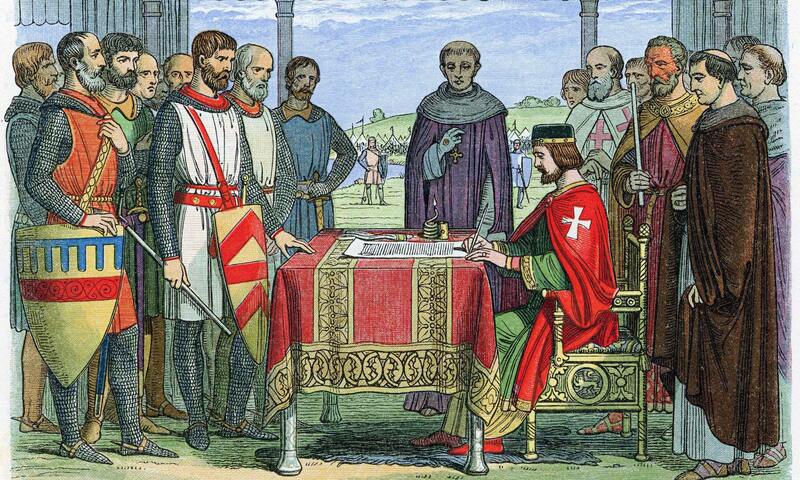 The sealing of the Magna Carta, symbolically at least, established a new relationship between the king and his subjects. Eight days ago, Sepp Blatter met his advisors near the banks of Lake Genève and sealed his fate by announcing his resignation from FIFA. If FIFA survives, it is highly likely the powers of his successor will be similarly limited by a new ‘charter’. The bigger question though, is how can these excesses be avoided in future? History tells us that transparency and good information is one of the keys to avoiding excess, as is making the ‘governors’ accountable to the governed. Another is the affected stakeholders being willing to assert their rights before a situation gets out of hand and more desperate measures become necessary. On two separate occasions I’ve been lucky enough to see one of the four remaining copies of the original Magna Carter, once at Lincoln in the UK, and once as part of an exhibition in Canberra. As we reflect on this document and its 800 year history its worth considering its key message, that good governance requires both limits on power and for the governors to consider the interests of their stakeholders; if these two elements are present, the likelihood of governance failure is going to be significantly reduced. This is equally true for national governments, organisational governance and the governing of projects, programs and portfolios. The moral underpinnings of good policy. Over the last couple of weeks I’ve needed to look at the relationship between morals, ethics, values, principles and policies to help define several of these terms for use in ISO 21503, Guide to the governance of projects, programs and portfolios. All of these terms are important aspects of governance but the interrelationships are far from clear. The best construct seems to be something along these lines, but any thoughts or suggestions to the contrary will be appreciated. Morals are the internal code of behaviour that define what is considered right or acceptable by the person, usually derived from a religious or philosophical base. The choice of which morality to follow is made by the individual, and therefore ‘morals’ tend to refer to that person’s ideals regarding right and wrong; within the framework of the society they live in – there can be different moralities. Ethics involves systematising and recommending concepts of right and wrong conduct, and refers to the series of rules provided to an individual by an external source, typically in a ‘professional code of ethics’; eg, the PMI Code of Ethics and Professional Conduct. Values are an expression of a person’s fundamental beliefs, founded on their ethical and moral framework. Values are used to define and differentiate right from wrong, good from bad, and just from unjust based on what is important to the individual – things the person ‘values’. Where are group of people operate within an organisational culture, the ‘values of the organisation’ are derived from the values of the members of the organisation. An organisation’s values are the standards used to provide guidance to the members of the organisation as they determine what is the best decision or course of action to take. Principles are similar to ethics; they codify a fundamental truth or proposition to define an aspect of an organisation’s overall values in an objective way. They are positive statements of what will be done or achieved. An organisation’s enunciated principles serve as the foundation for its policies, behaviours and reasoning. The final link in the chain is the organisation’s policies. These are a set of rules used by an organization to define how its members will implement aspects of its principles or objectives. Policies provide the guidance and constraints needed by management to operate he organisation effectively. My latest article on governance has been published in the May edition of PM World Journal. Focused on the management of the project, it identifies sophisticated control processes for cost and quality, supported by good governance. However, the processes used to manage time across an extensive supply chain and large on-site workforce remains elusive.